Now the question is; how do you achieve the above feat? 6. Sit back and watch the money roll in even while you sleep! Don't be over excited already because in as much as this may sound easy to achieve, it is not as easy as it looks because from my own many years of experience in this field, I can authoritatively tell you that its not as easy and simple as I have explained and its not something you can start or learn in one day or even one year. It took me for instance, over 4 years of dedicated learning, trial and error to finally discover the secrets of what works and what doesn't work, and ever since then, it has been a win win situation for me, and now, I am ready to give it out to few interested persons who are ready to join the league of steady Adsense income earners. It comes at a price, so don't expect me to give it out on a platter of gold, and I am not selling any eBook on this, so this is more than an eBook, this is a rare service offer to only interested persons willing to make the sacrifice. So to all of you out there, that have been struggling to make money online without success. This is for you! Have you tried blogging and it seem not to be working for you. Then you need to grab this opportunity of a lifetime from someone who has been there and say goodbye to trial and errors. 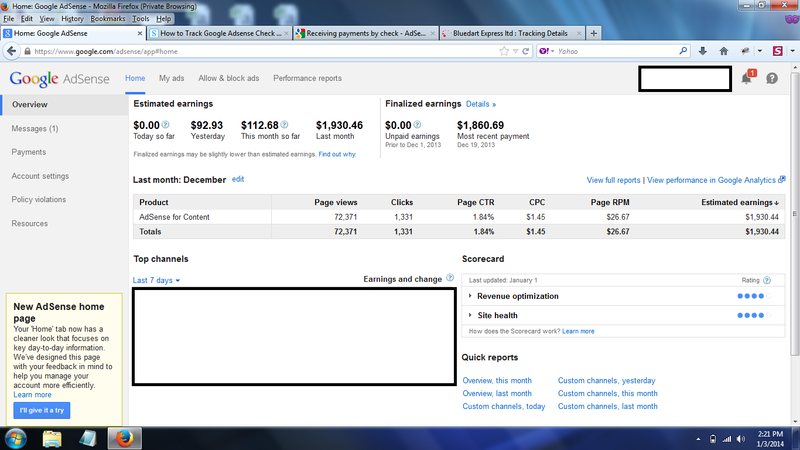 NOTE: you must have an approved Google Adsense account to embark on this journey. You must be ready to purchase a domain name and hosting plan on your own from hostgator or Godaddy, etc; I can guide you on how to do that on your own (this will cost you less than $80). You can purchase a domain name from Godaddy or namecheap for as low as $1, just go to google and search for Godaddy $1 coupon code and apply it. COST OF THIS SERVICE PACK?